It is currently scheduled for Spring 2011 at 5040 yen. There will be two versions, Red and Blue. 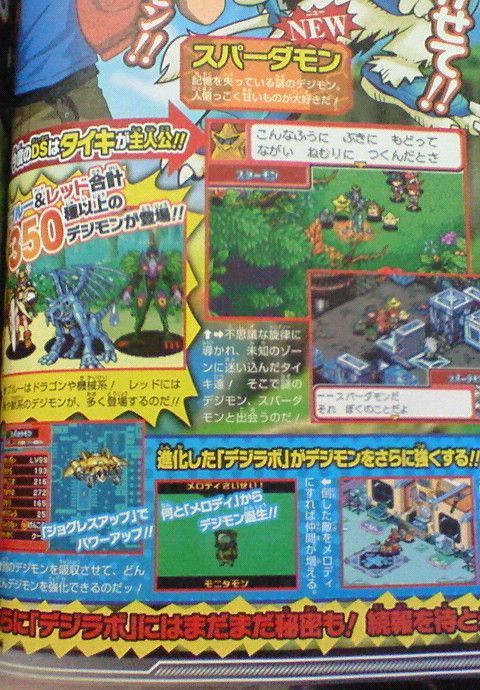 Between both versions there will be over 350 Digimon. More info to come, hopefully an official announcement with some artwork also. 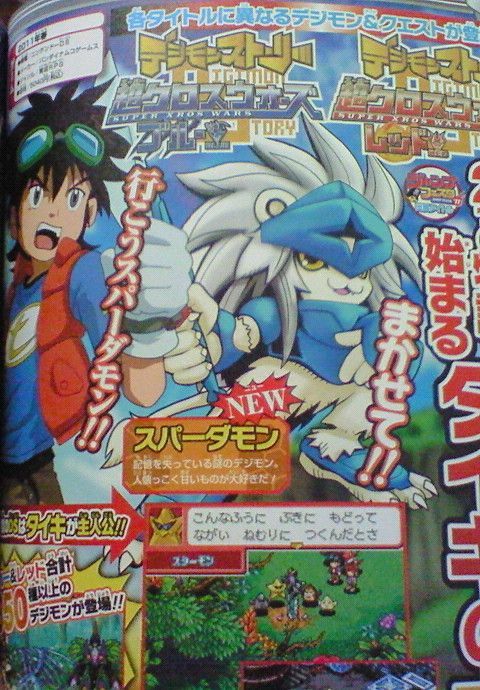 Update- Got some images that appear to be scans from V-Jump. Vande should have her copy soon and we will have detailed scans to go over, but for now, this should help the discussion a bit.